The Nigeria international, John Mikel Obi has cancelled his contract with the Tianjin Tigers, although his next destination remains unknown. John Obi Mikel has confirmed his exit from Chinese Super League side Tianjin Teda. The 31-year-old joined the Tianjin Tigers in January 2017 from English Premier League club Chelsea after finding game time difficult to come by under Antonio Conte. The former Lyn Oslo midfielder made 31 appearances scoring three goals and contributing three assists during his two-year stay with Teda. And on Friday, the Super Eagles captain affirmed his contract termination with the Tianjin Olympic Center Stadium outfit, although his next move is still unknown. “I broke the contract with the club, which means I will leave Teda,” Mikel told Tianjin TV Sports New Vision programme. “As for my next stop, I am not sure yet, maybe I will return to Europe, maybe stay in China. “Anyway, I would like to wish the Teda team good luck next season.” Mikel played his last game for Tianjin Teda in October 2018 helping the side to a 4-2 win over Shanghai Shenhua. 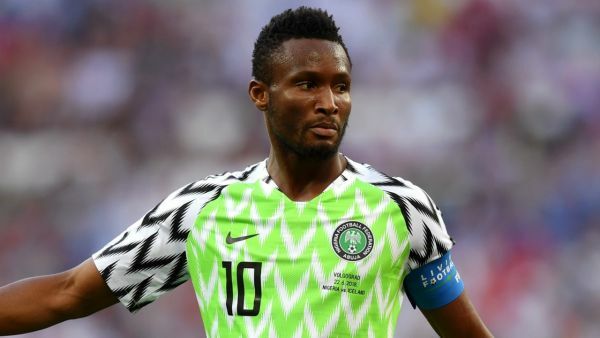 The post Nigeria’s John Obi Mikel Quits Chinese Side Tianjin Teda appeared first on Naijaloaded | Nigeria's Most Visited Music & Entertainment Website.